We’re getting a Fed Cup semi! While the word’s been out since last night, this afternoon it was officially announced – Birmingham, AL will host the Federation Cup semifinal tie (round) between the United States and Russia. 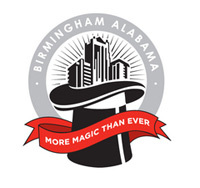 The fun takes place on April 24 & 25 at the BJCC Arena. This will be the second time in two years that The Magic City will play host to international tennis competition. The Davis Cup visited Birmingham a year ago holding a first-round tie here. According to the reports filed by The Birmingham News , organizers will attempt to recruit both Serena and Venus Williams to participate in the match. Some are hoping that Russia’s Maria Sharapova is chosen to participate as well though the tie will be taking place the same weekend as the Porsche Tennis Grand Prix premier event in Stuttgart, Germany. You can keep track of who is chosen by the respective captains by visiting the page dedicated to the tie on the Fed Cup website. Don’t be surprised if you see a lot of red today as you’re moving through town (or across the country for that matter). These conscientious people are doing their part to help raise awareness about heart disease and stroke, the number one killers among women in the United States. National Go Red for Women Day’s official website can provide you with additional information that you can share with others today and help keep you informed of any other things that you can do to raise awareness. Logo: Courtesy of official website. We’re just happy for the folks at the popular lunchtime spot as they’ll be packed on Thursday with both young professionals interested in sharing what they want for the city showing up and the regular crowd. It will be the second public meeting held by the mayor announced via Twitter since being sworn in last Tuesday. UPDATE: We figured we’d ask you to share what you’d suggest or talk to Mayor Bell about over on Magic City Question. 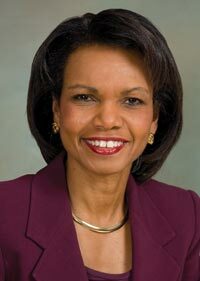 Former U.S. Secretary of State (and Birmingham, AL native) Condoleezza Rice will be the featured speaker for this year’s Alex P. Stirling Lecture at Birmingham Southern College. The lecture, named for a BSC student who died of cancer in 1995, will take place on February 11 at the college’s Bill Battle Coliseum. You’ll need a ticket to get in to hear Stanford University’s former provost speak even though it is a free event and they first will go to students, faculty, staff and alumni before being opened to the general public (as it should be). Those interested in securing whatever tickets may be left are encouraged to fill out the request form at the bottom of the page announcing the lecture located on the college’s website. They’ve got all of the other information that you’ll need over there as well. Photo: courtesy of BSC website. If you’re not familiar with the popular blog PostSecret, you may want to click on the link and get acquainted; then you’ll have a reason to be excited about the creator of the site, blogger Frank Warren, being in Birmingham on Thursday evening, October 22. UAB’s student newspaper, Kaleidoscope, first reported about the lecture, entitled “The Most Trusted Speaker in America: Frank Warren’s ‘PostSecret,’” last week. Warren’s also included the appearance on recent blog posts and in Facebook invitations to his appearances. UAB students get in for free while general admission tickets will be $10. We’ve been silent for the past few days (well, we were saying stuff on Twitter, but for the most part that means that we’ve been silent for the past few days…). Our reason for silence – the launching of the new WordCamp Birmingham website just in time to open registration (complete with an early bird discount) and announce a call for speakers and sponsors for September 26 & 27. We’re still wondering if Matt Mullenweg will choose to wear his black Terminal T while he’s presenting, but we’ll have to wait and see. In the meantime, head on over and check it out. FYI, Social South also unveiled its site last week. The first edition of this social media conference will take place here in The Magic City on August 21 & 22. They’ve also announced an early bird registration fee.